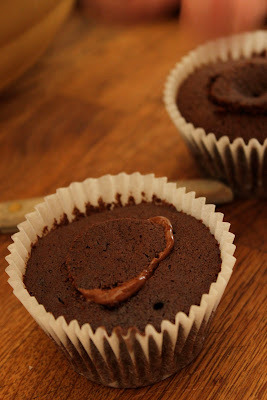 Yesterday I created a Marmite cupcake recipe and baked them for Marmite to send out to press and bloggers. 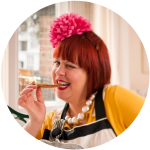 Marmite is an umami flavour and strangely, lends itself well to sweet and salt combinations. I decided upon a vanilla base with a Marmite caramel frosting and a chocolate base topped with chocolate Marmite frosting. 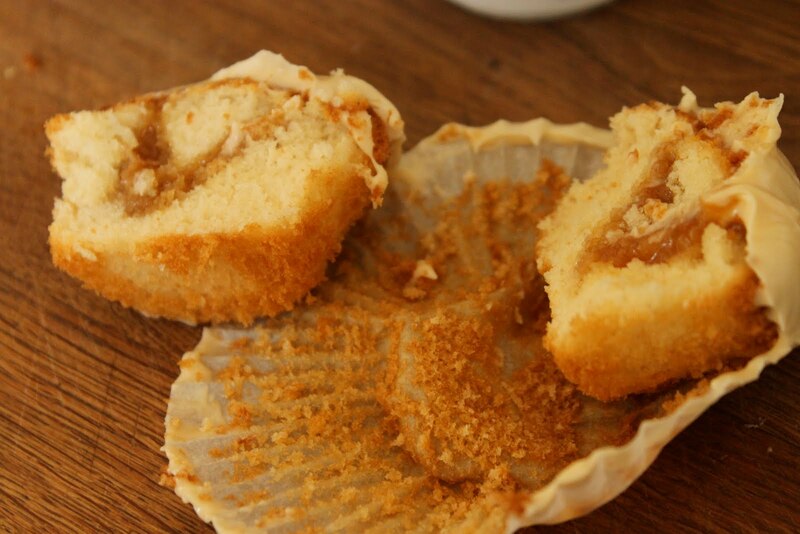 It was important to have that salty intense Marmite hit peeking through the sweetness and this was achieved by creating a strongly Marmite flavoured ‘centre’ in the cupcakes. This ‘centre’ would either be a shock, or a pleasure depending on where your Marmite sensibilities lie…with the Marmite Love Party or the Marmite Hate Party. Equal weights sugar and water. 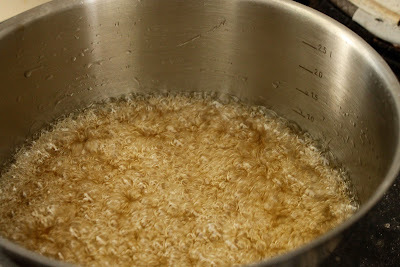 Combine the sugar and water in a medium sized saucepan until it dissolves. Bring it to the boil, without stirring, until it’s a deep amber colour. Brush down the sides of the pan with a brush dipped in water to prevent crystallisation. (Now everybody likes their caramel a different shade, too dark and it has a bitter note. Remember the Marmite will also darken the colour). Remove from heat once desired colour is reached. Add Marmite to taste once it’s cooled down enough to taste it without burning your lips and tongue, but warm enough to melt and blend in the Marmite easily. 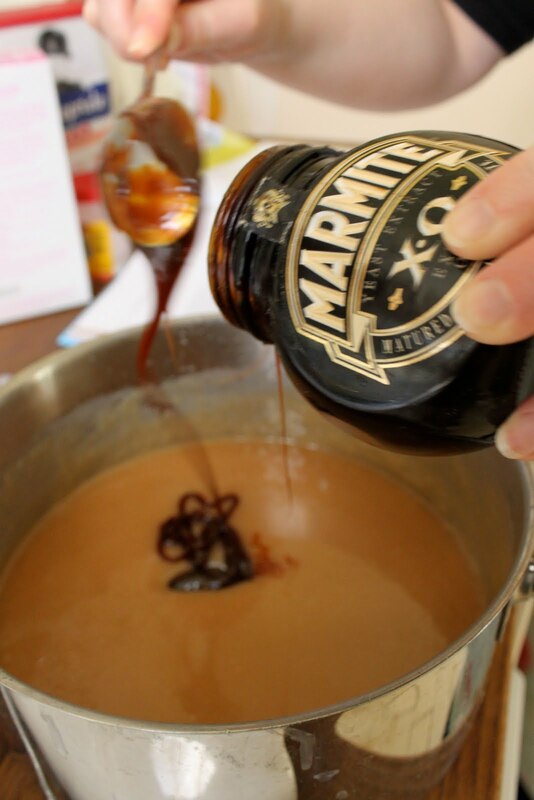 Set aside a small bowl of the caramel into which you can mix more Marmite, making a much stronger ‘hit’. 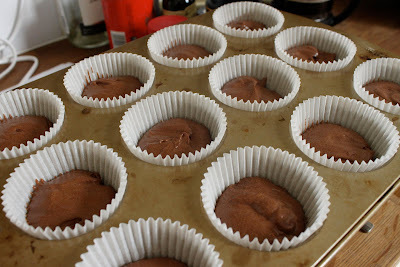 This I used for the centres, the rest will be mixed into the frosting. When icing sugar/cream cheese mixture is smooth, add the remaining icing sugar until incorporated. While still beating the mixture, pour in bubbling melted butter. Beat until smooth, but don’t overbeat. Fold through the caramel. However be careful not to fold in too much or your frosting will collapse. 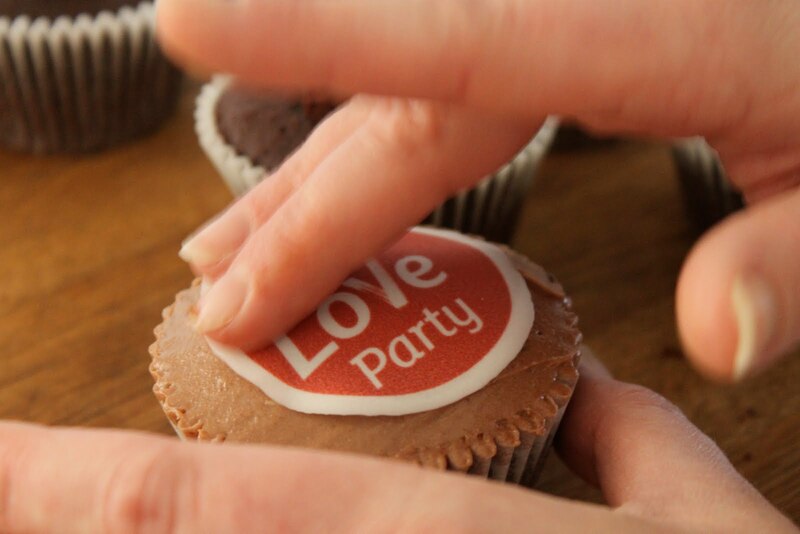 Cover the frosting with clingfilm so that it doesn’t crust over and put aside. 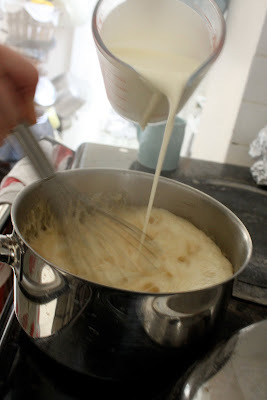 Beat room temperature butter and sugar together for at least ten minutes on a high speed if using a mixer. Add egg slowly, very slowly, to make sure the mixture doesn’t curdle. Sieve flour, baking powder, salt together. If using a mixer, slow the speed, otherwise you will beat the air out. 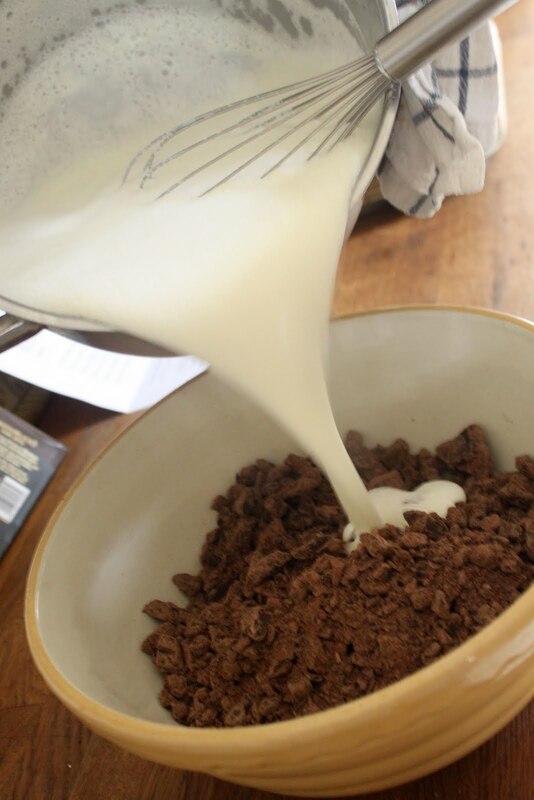 Keep scraping down the sides of your mixing bowl at regular intervals. 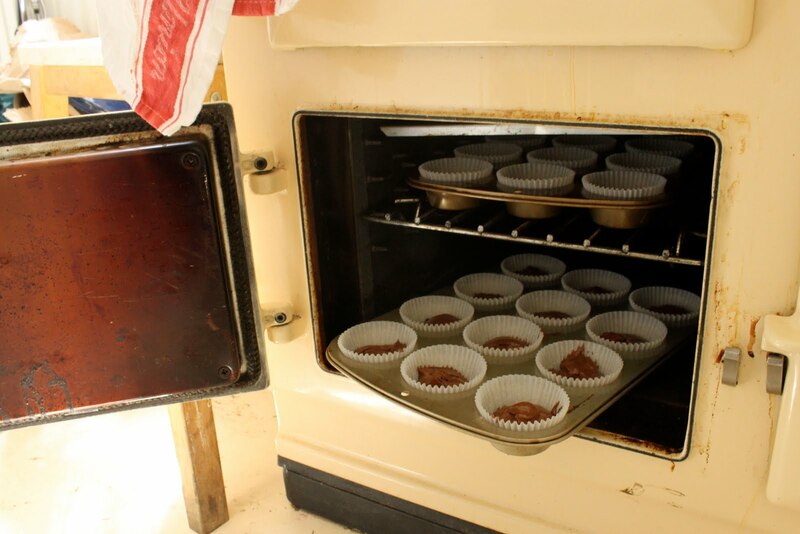 Divide mixture into a baking muffin tin filling the strong baking cases. You can make sure you do this equally by setting the muffin tin on a digital scale and checking that you are adding 45g each time you fill a case. Bake for 20-22 minutes in 160c degree conventional oven. In Aga I baked for 20 minutes in the baking oven. I found they rose better without the cool shelf. 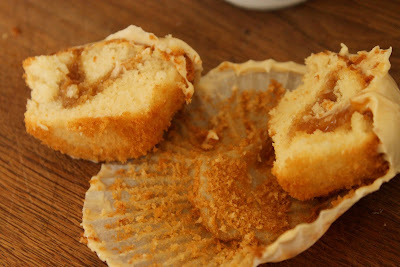 Then for the vanilla cupcakes, first brush the top of each cake with the sugar syrup. This keeps them moist. To mix Marmite caramel into the frosting, put some frosting into a bowl and slowly add the caramel, not the other way round. You don’t want your frosting to be so sloppy you can’t top the cake with it. 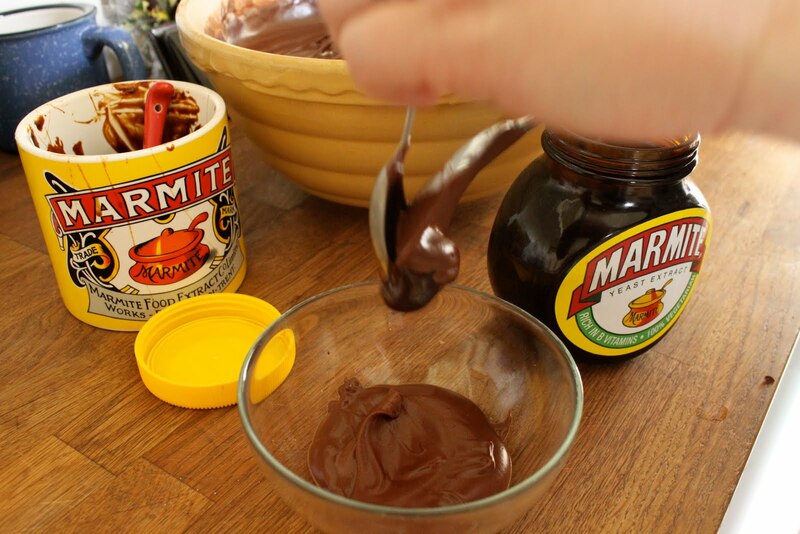 Make your Marmite chocolate ganache by melting the chocolate in a bain marie and mixing in the cream and Marmite. I set aside a portion which had a stronger Marmite taste for the centres. Make fresh coffee! 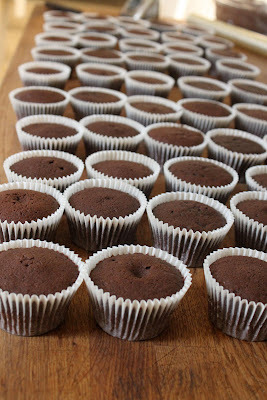 You probably need a little break after all that and you will need it for your chocolate cupcake recipe. Whisk the liquids (fresh coffee or Marmite) into the cocoa powder. When smooth add the cold water. 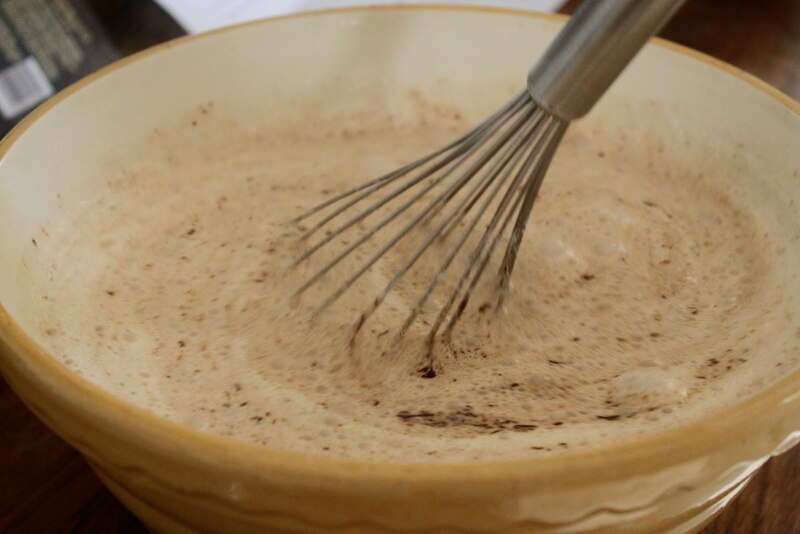 In a mixing bowl or food mixer, beat room temperature butter and sugar together for at least ten minutes on a high speed (if using a mixer). Keep scraping the sides down yeah? Sieve flour, baking powder, bicarbonate of soda and salt together. Divide your chocolate mixtures into a cupcake tin, weighing as described above, to ensure equal distribution. 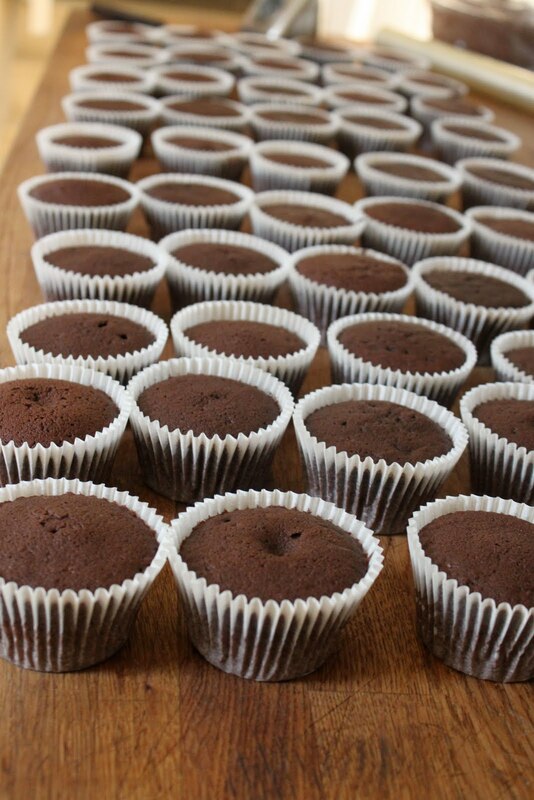 Muffin tin must ideally be lined with strong baking cases. You need ’em sturdy to have a sharp strong edge that you can frost ‘against’. When baked (they should spring back when touched) take them out carefully, trying not to separate the baking cases from the cake and cool on racks. Lift out the centre of the cake and fill with either the strong Marmite chocolate ganache. 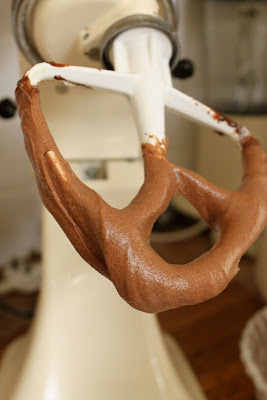 Taking your frosting, mix some of the Marmite chocolate ganache into it. 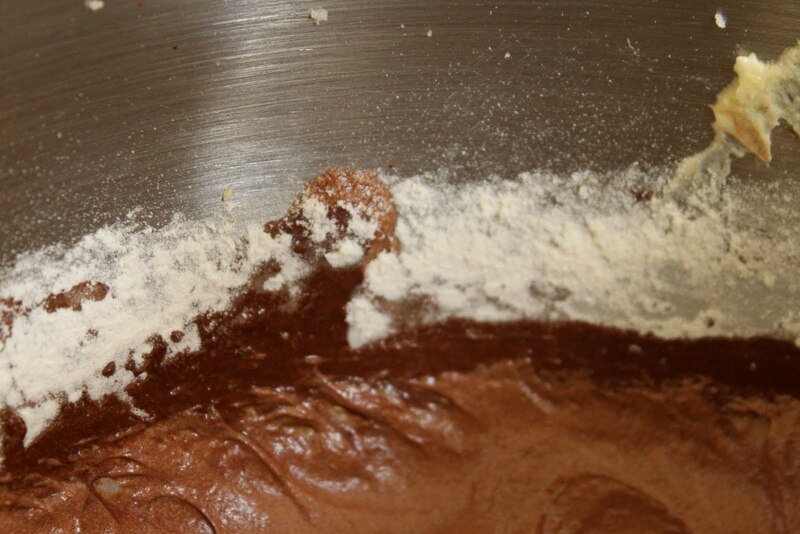 Again, be careful you don’t add so much that the frosting is not stiff enough to ice your cakes. Frost the chocolate cupcakes with a palette knife with the Marmite chocolate frosting. You can sprinkle a little edible glitter on top, I used gold. Adding cream to the caramel…fait attention ca brule! These look and sound delicious. What's the marmite XO like? WOW they look good, I was quite scared when you posted those pics yesterday but these look amazing! 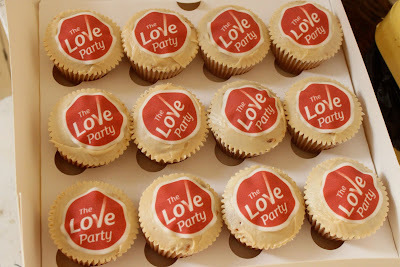 I neeeeeed some of these straight away. 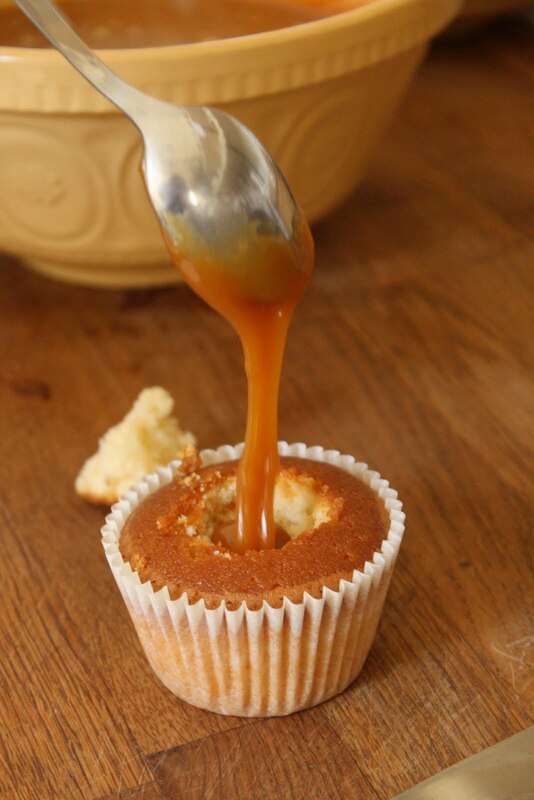 Had a bit of moment making caramel couple of months ago – was busy, lost the plot, caramel crystallized and I ended up using warmed golden syrup instead – sometimes you have to take shortcuts – and it worked just as well. Easier too. These sound fantastic! I love them! Yum! I love Marmite, what a great project to be given from the big guys at Marmite. I think you've somehow tricked me into liking cupcakes. How did you do this?! WRONG! YUK! Ha ha. 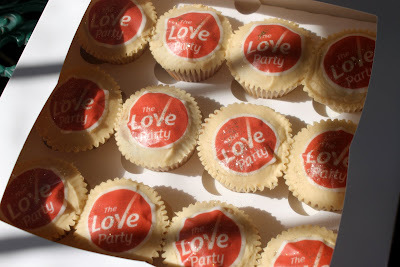 I like cake and I like the smell of marmite but I really do find it repulsive. Maybe it will be ok with cake. Maybe it will just wreck a perfectly good batch of cakes. I dont know. I'm going to try making these tonight, two fingers up to the vegemite brigade!